Some time ago I was experimenting with pfSense and HAProxy to deploy both as firewall and load balancer for one of the websites I was working on at the time. The key incentive was that pfSense is great BSD based firewall distribution with amazing features offered out of the box, and if that was not enough, you can install additional packages to add features you need. I have installed pfSense with HAProxy several times, more than several in fact... and every time I did it, the configuration file generated using HAProxy web configurator (integrated with pfSense interface) was broken. First row in the table showing defined backends was empty - the configuration file itself had just variables but no values. The second entry was just fine... Obviously HAProxy refused to start. 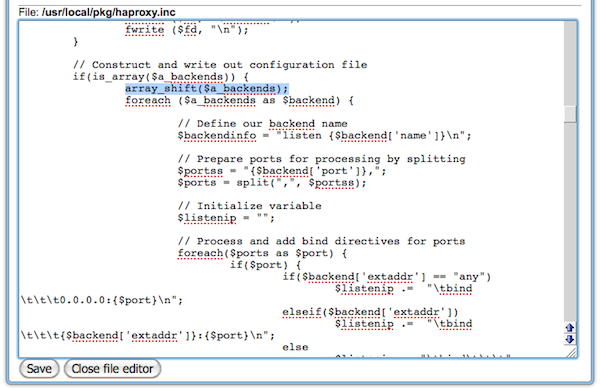 Not a rocket science, just shift() the first (empty) backend definition and let the script do the rest. Manually fixing config file is pointless because new config is generated every time HAProxy (re)starts and the code above is used to generate it. This post contains my notes - what I did to make it work properly, so next time I build the system, I have a step by step guide. In case you lived under the rock for the last months and don't know what Raspberry Pi is, you should visit www.raspberrypi.org now. I bought Edimax EW-7811Un adapter for my Pi - small factor, b/g/n type, so why not... especially when vendor says it provides Linux drivers (wohoo!). 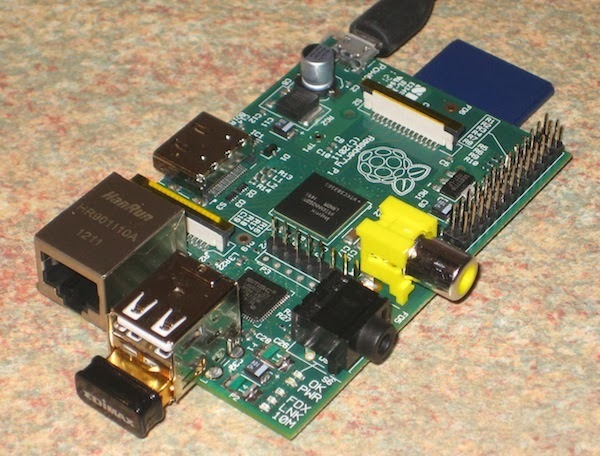 Sadly as it turns out, compiling drivers on x86 or x64 and ARM architectures can be totally different experience - especially with Raspberry Pi being in it's software infancy. In all seriousness - Pi is for those that like to solve problems (at least at the current stage), but the community works hard to catch up very quickly - great stuff!